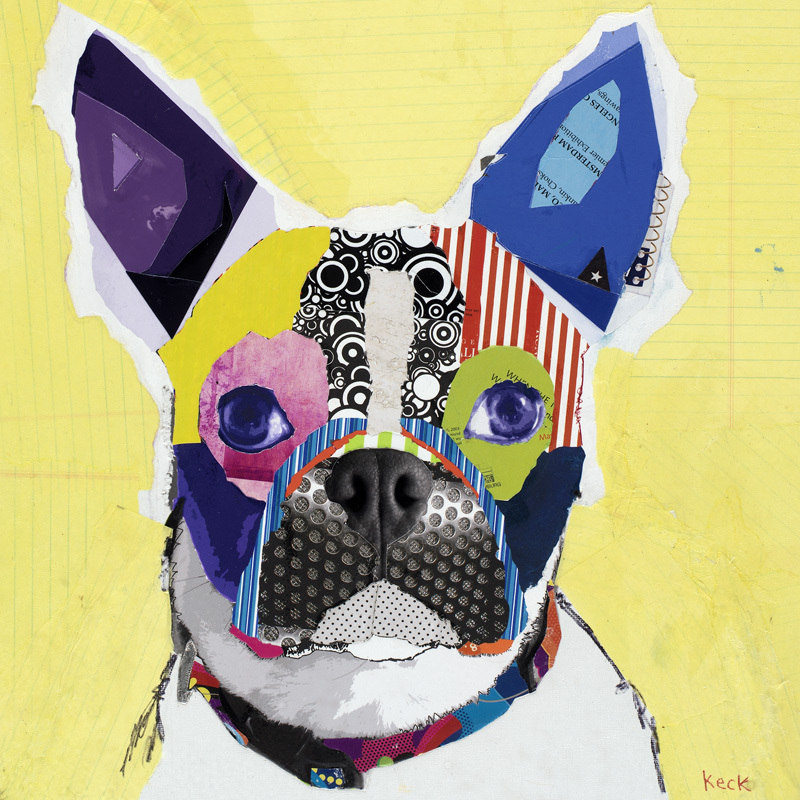 below is Casey my Boston Terrier dog art collage. please click the shop link above or shop the dog art section of my site michelkeck.com to purchase the original of this work or a fine art giclee print of this Boston Terrier modern dog art collage. this is available in varying sizes so if you do not see the size you would like it in please phone into my gallery at 1.219.306.9474. Fine art giclee prints of this work are available on fine art paper and gallery wrapped canvas. Standard sizes are 16″ x 20″ and 8″ x 10″ but this can be created in larger sizes as well so please phone if you would like this work made larger.